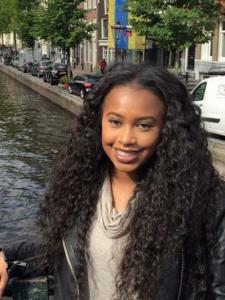 My name is Dae'Nisha L., and I am currently a junior attending St. John's University. My major is business management with an international studies major. I plan to pursue a career in law. I interned with a program called Let's Get Ready, which is a a SAT prep program. With the position I worked with 60 kids, helping them with their math and written section of the test. My strengths include working with kids ages varying from 8-18, communication, and math.